Teen Mom star Tyler Baltierra has a difficult relationship with his father, Darl “Butch” Baltierra. But over the last year, the pair has been working hard to forge a much stronger bond — and this was largely due to Butch’s willingness to stay on the straight and narrow. For much of Tyler’s life, Butch has been serving time for various charges, including: home invasion, larceny and breaking and entering, as well as drug-related offenses. But since being released from prison in August of 2015, Butch has been focused on getting his life back on track — even attending therapy sessions with his son. However, it has now been reported that earlier this month, Butch once again saw the inside of a jail cell. The reason for his latest incarceration stems from charges brought against him for operating a vehicle on a suspended license back in June, which he subsequently pled guilty to in September, court documents obtained by Us Weekly state. Radar Online also reported the story, revealing that a spokesperson for the St. Clair County Jail in Michigan confirmed that Butch had been in jail for six days, and was released from the jail on Oct. 13. But this doesn’t necessarily mean that Butch is out of jail completely, because according to the spokesperson, he was “either released [or] transferred to another correctional institution” — Radar Online insinuates it’s the latter, claiming that even though Butch appeared to be posting on social media on Oct. 15, Catelynn Lowell told a friend of Butch’s that his girlfriend was using his phone in his absence. 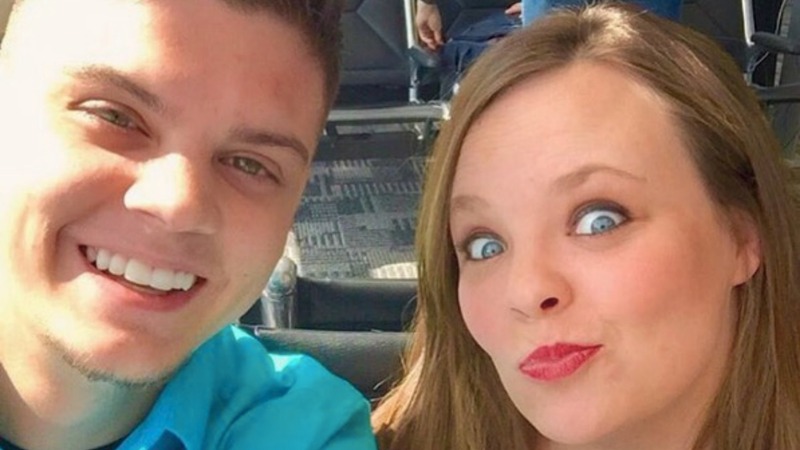 More: Is Tyler Baltierra and Catelynn Lowell’s relationship turning a dark corner? The young couple has been through a lot lately, but are both working on bettering themselves, and this incident with Butch will no doubt take its toll on them emotionally. While far less serious than his previous sentences, it’s still unfortunate that Butch once again finds himself behind bars, and we hope that, for the sake of both himself and his family, this is the last time. Are you shocked by the reports of Butch Baltierra being jailed? Share your thoughts in the comments below.